My Dog Can Give Me What??? Zoonosis, by definition, is a disease transmissible from animals to humans under natural conditions. In the United States, we do not always think about these types of diseases because we are so "sophisticated". But many of these diseases are present in our area and you may be at risk. Today we will discuss leptospirosis. This is a disease caused by a bacterial organism in the spirochete order, these bacteria are corkscrew shaped. The disease is found worldwide, with the specific species varying by region. This disease is definitely present in Polk County. This disease can be very serious in animals, even fatal. In humans, the disease is reported to be underdiagnosed since the symptoms can be mild. Transmission is directly between hosts or indirectly in the environment. The organism is released from the host in urine usually, it can also be found in the fetus or vaginal discharge of infected animals. In the environment the organism is usually found in food, water or soil contaminated with infected urine, it can also be transmitted through the skin. 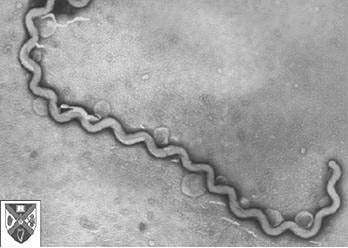 The leptospira organism cannot survive well outside of a host without high humidity; it is killed easily with dehydration. First, we will discuss the signs of the disease in people. There are two phases to the disease in humans. The first phase begins abruptly and usually lasts about one week. In this phase there are non-specific signs including fever, chills, headache, muscle soreness, a transient skin rash, weakness, enlarged lymph nodes, abdominal pain, nausea, vomiting, sore throat, cough, chest pain; in severe cases, there may be yellowing of the skin (jaundice). The second phase starts shortly after the first phase ends; it is during this phase that the body produces antibodies and releases the organism in the urine. The signs are similar to phase one but are less severe and last for about 30 days. The disease is treated in people with antibiotics. It is believed that 30-50 % of the reported cases are associated with occupational exposure-- sewer workers, coal miners, farm workers, plumbers, pet store owners, veterinarians or technicians, meat handlers, slaughterhouse workers, people working in the fishing industry, to name a few. grippotyphosa-- raccoon, opossum, skunk, small rodents, squirrels pomona--skunk, raccoon, opossum, cow, pig, deer icterohemmorhagica--rat, pig canicola--dog. The signs in animals vary with species, but many of them are associated with kidney or liver disease or reproductive dysfunction. In cattle the signs are mild in the adults and are associated with decreased fertility and milk production; it can be acute in calves with diarrhea, conjunctivitis, fever, and anorexia being among the main signs. The signs in sheep and goats are similar to those seen in cattle. The disease is rare in sheep. In pigs the adults show signs including late-term abortions, infertility, and stillbirths; the piglets show fever, anorexia, depression, diarrhea, gastrointestinal disease, and jaundice. The disease in horses is usually very mild and the signs are primarily eye signs. In dogs, the disease is variable from mild to severe. The initial signs are fever, depression, and anorexia. Signs associated with kidney disease (nausea, vomiting, lack of appetite, dehydration), liver disease ( yellowing of eyes and skin, anorexia) or bleeding disorders are also common. Death can be sudden. It is treated in animals with antibiotics and supportive care as needed. To help prevent the disease, vaccines are available for dogs, cattle, and pigs. Any animal that has potential exposure to wildlife should be vaccinated. Also, exposure to wildlife should try to be decreased. 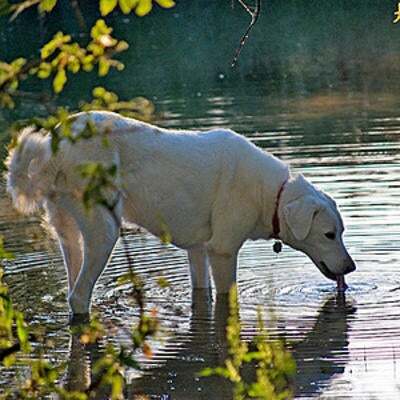 Do not allow your dogs to drink from the stagnant water. People should wash their hands after handling anything potentially contaminated with urine, wear gloves when gardening. Try not to leave anything outside that would attract raccoons, skunks, rats or other wildlife, such as food. 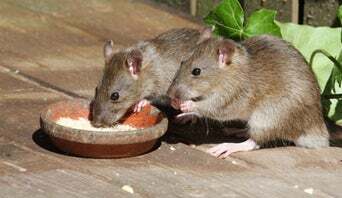 Try to control rodents in and around the house and any other buildings.